Model T Ford Forum: Part Identification. 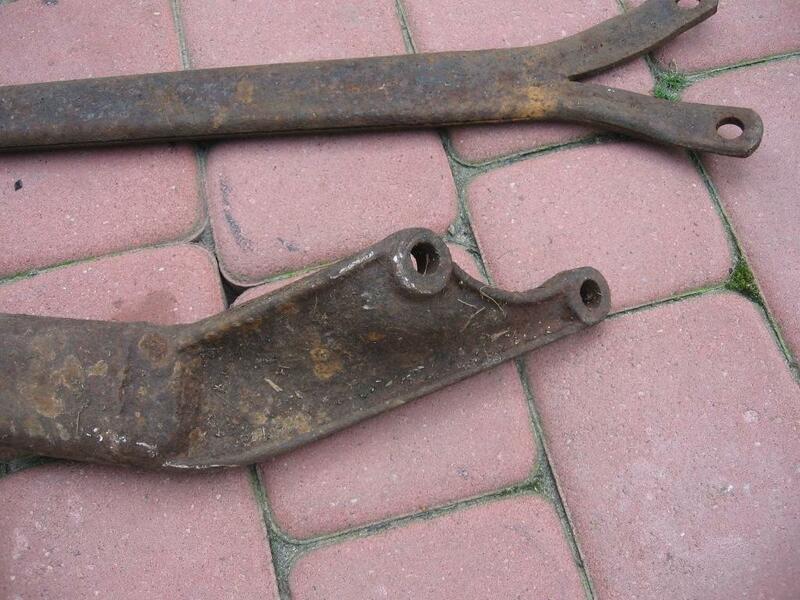 Model T Ford Forum: Forum 2014: Part Identification. I bought this radius rod with a box of some old Model T parts and I am having trouble identifying it.I know this one on the bottom is a Model T what about the upper one on the first picture ? Can You help me with this. 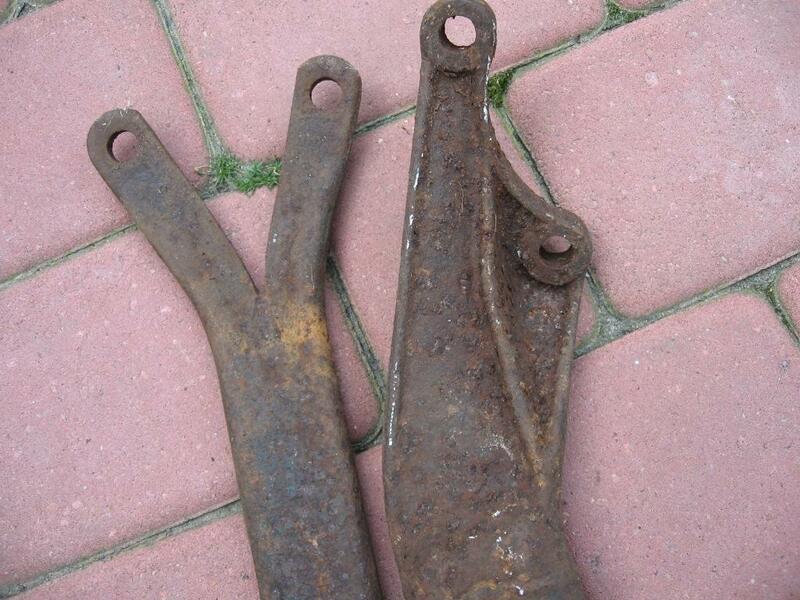 I would say the bottom one is from a 26-27 Model T.The other I on do know. I meant I do not know. I think the model T one is 1919 through 1925 model year. Wayne is correct. The T rod is not 26-27. Wayne, You wrote the heavy one is 46-48 ford but do You know what model? I know VERY LITTLE about V8 era Fords. No problem Adam. Thank you Clayton.